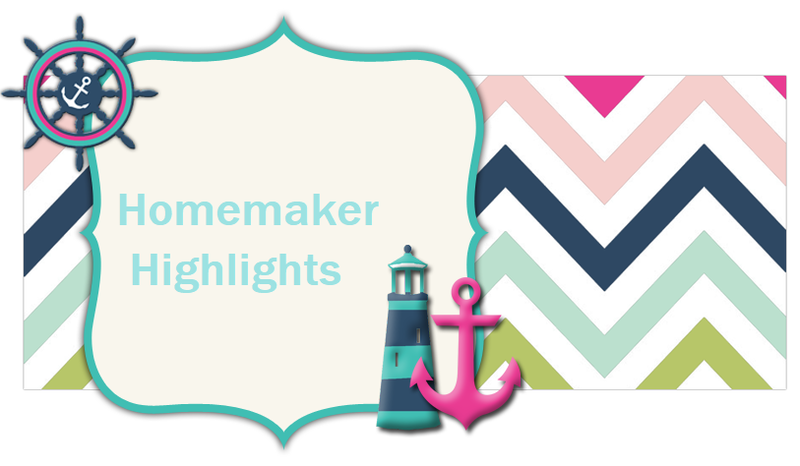 Homemaker Highlights: New year's giveaway!!! I'm sorry I haven't updated my blog in a while. The girls have had their yearly VCUGs, my Dad had surgery to unblock his fistula (twice), my Mom is now in the hospital (also had surgery), and Barry ended up in the ER on Christmas day...he slipped on wrapping paper and toys. I received this wonderful book, Read and Share Bible, from Tommy Nelson to read and review. As part of reviewing I was also asked to do a reader giveaway!!! First, I will say that this book has been a HUGE blessing to me. Lilly-Rose (our oldest) has become more interested in the Lord. Recently she asked us why Jesus died for us. It's the question that every parent hopes they have the right words for. I prayed for the right things to say and the right examples to lay out for her little 5 year old mind to comprehend. I started off by asking her did she know what a sin was? Simple question, but to a 5 year old they may not grasp this concept yet. So I began to tell her that a Sin is like when she gets in trouble at home. She does something she knows she is not suppose to do. I asked how does feel when she does that? She replied "Bad Mama...I feel Bad." I explained that no matter what she does Mommy and Daddy always forgives her. I then explained that the story of how Christ came to earth and died by the cross was similar to this. That he came so that we maybe forgiven. That when we do something wrong and we are truly sorry for what we have done...God always forgives us because he gave his only Son to us...so that we may always have that forgiveness, love and grace. I could see the sadness in her eyes and I explained that now Jesus is in Heaven. He will feel pain no more and that he willingly gave his life for ours. She smiled and then said "Mama...Jesus loves us doesn't he?" It made my heart fill with so much joy. I am constantly amazed at how much this little one knows and understands. She knows far more than I give her credit for. I have always said that I would never scare my children into believing, but rather show them the love that our Lord extends to us and have them come to him in love. I hope that my words will forever be embedded on her heart and that I have laid the foundation for her to receive Christ one day. Since our talk she has told several people about how the Lord loves us and died for us. Her favorite thing to tell someone is "Jesus died for forgiveness." She has a new little song in that tiny heart of hers and she is excited to share it. This read along Bible showed up in the mail right afterwards. I had been asked previously if I would review it, I could keep one, and give one to my readers. I was so excited about this review! I patiently waited for it to arrive and just as a blessing from the Lord it showed up a day after our talk. When Lilly saw that this was a Bible she could read on her own and know about Jesus..she was very excited. The first night she wanted to read of Christ's birth to her Sister. Emmie sat with her doll in her lap next to her Sister on the couch..as her Sister read from "A baby named John (Luke 1:57-66.)" There they were, our 2 beautiful girls reading the Bible together. Barry and I just looked in awe at our 2 miracles reading and understanding our love for the Lord. The stories, illustrations, and words are easy for small lips. The book has a hardback and page sturdy for tiny fingers to flip. Lilly also loves the questions that they ask at the end of each story. It something that she can answer and define in her own words or something she can ask me and seek that knowledge for her own heart. There are so many wonderful stories of the Bible that are covered. I love how each story is prepared and is appropriate for small ears. I think sometimes adults forget that children are just that..children and while they have good intentions for planting that seed, it can be confusing and scary for a child. I'm an adult and knowing what happened to our beloved Jesus makes my ache and can bring me to tears...IE a play about the Crucifixion or seeing it depicted at the Christus gardens in a diorama. Imagine that imagery for little eyes. My girls gave this Bible 2 thumbs up and Lilly can not wait to take it to Sunday school to share with other children. Since receiving it she has read a story every night in it and I love how the words are simple for her to read. It gives her great pride to share these stories with her Sister or read them by herself at bedtime. With over 200 Bible stories this is going to be a family treasure for years to come. I want to thank Tommy Nelson (http://www.facebook.com/?ref=logo#!/tommynelsonkids) for giving us such a wonderful opportunity to spend time as a family worshipping our Lord and planting that ever tiny seed in our Girls' hearts. We look forward to watching that seed grow. This book could not have arrived at a better time or been a better Christmas gift. Thank you from the bottom of our hearts for giving us the opportunity for this review. Now for my ever so patient readers!! Above is a picture of the book I am giving away. All you have to do is be a subscriber to my blog and/or Facebook page and comment...that's it! Easy peasy lemon squeezy :) If you would like to join my Facebook page Just Another Modest Mom (badge on right side) I will give you double entries for joining and commenting under the post there for this giveaway. On January 5, 2011.. all names will be thrown into a hat (double entries if you commented here and on Facebook)...Lilly and Emma will pick a winner then. I hope this book is a big hit with your family, as it has been with us! I also announced the Winner to our Gerber pack on the Facebook page. Congrats to Just Another Modest Mom friend Susan!!! I also want to thank her for being very understanding about the delay in the drawing. I have such wonderful readers and would love to thank you for that. I have been doing this blog for almost 3 years now and I couldn't ask for better friends that I have made since doing so. This has been such a wonderful and rewarding experience. Thank you! I'd love to share this book with my daughter. TY so much CT Mom for putting your name in the drawing! It is a awesome book. I'd love to have this for my children! Thanks for this great giveaway! TY so much for entering..I love your site!